We teamed up with Brown Jordan to reinvent an iconic American luxury brand. To relaunch, reinvigorate and reignite a classic American luxury brand. To excite and inspire a new generation of architects, designers and consumers. To evolve from a product focused provider to a lifestyle brand. The work we created for Brown Jordan began with a simple, profound truth - “The Good Life” is not a collection of things. It’s a collection of moments—moments of laughter and love, gratitude and grace, connection and reflection, celebration and affirmation– fully realized, deeply experienced, deliberately lived. That simple, powerful truth drove the narrative of everything we crafted and created social content, to influencer stories, to print ads, to the website, to P.R. 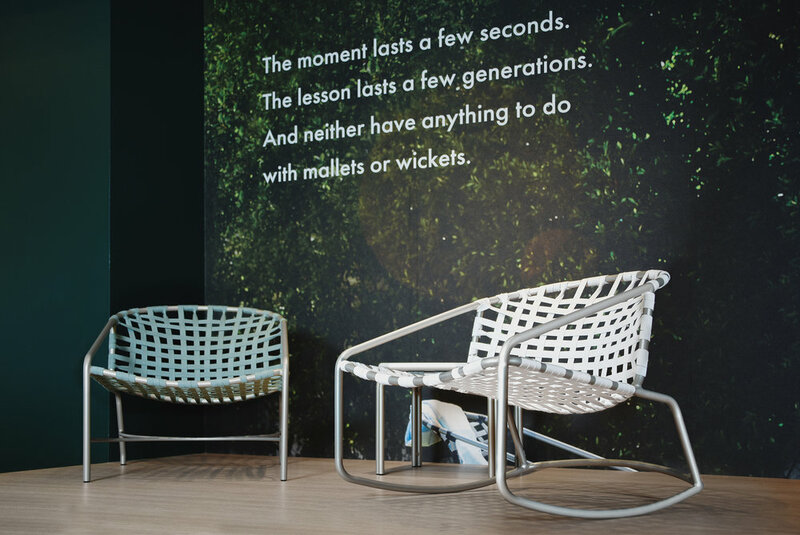 and events, and even designing a completely reimagined, completely immersive brand showroom experience.